Koh Tao is world famous for diving and is also one of the cheapest places to learn to dive. If you have never dived before why not give it a go with the 1 day Discover Scuba Diving experience or the 4 day PADI Open Water course. There are all day trips that will take you all around the island visiting several snorkeling spots around Koh Tao and Koh Nanyuan. If you don't want to spend the whole day snorkeling then you can also take a 1/2 day trip. Why not spend a morning or afternoon learning to cook some delicious Thai dishes that you be able to take home from your holiday and impress your friends with. Koh Phangan is know for it's monthly Full Moon Parties, Koh Tao is where everyone parties for the rest of the month! There are chilled out beach bars for relaxing at during the day and watching the sunset, then you can catch your favorite sports and live music at Choppers Sports Bar and then party the night away at places like Fishbowl and BND. The 8 bed AC dorm is basic with lockers in the room for your valuables which you need to use your own padlock to lock. The beds in the 4 bed dorm each have a reading light and power outlet next to the bed. There are also lockers in the rooms for your valuables. These rooms do not come with an ensuite bathroom and common areas like roof terrace and TV lounge are shared between all guests including the bathrooms and showers. 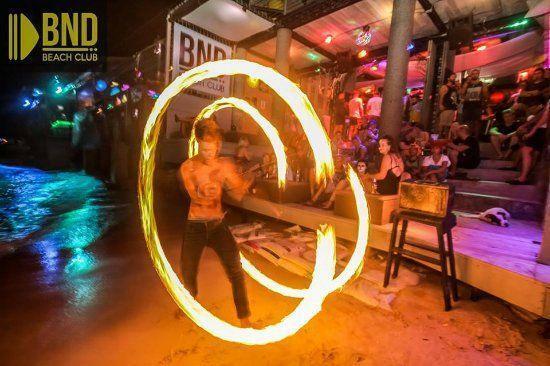 Koh Tao has nightlife to rival any Thai island with lots of bars with live music, fire shows and of course BUCKETS!! Koh Tao referred to in some guide books as Ko Tao was first put on the backpackers pancake trail around South East Asia due to the diving sites around the island. Koh Tao quickly grew into a diving mecca thanks to the cheap diving costs and the convenience of stopping over here either on the way to or from a Full Moon Party over on Koh Phangan. .Rocks Guesthouse offers cheap accommodation for people coming to dive or those coming to explore the island or party the nights away at the many beach bars.